BIRT Introduced OLAP style data cubes and crosstabs in version 2.2 and while they have been around for some time we still get a lot of questions on how to use and manipulate them. Below are just some of the resources that have been posted to BIRT Exchange that should help you with cubes and crosstabs. To get an idea of what a BIRT cube is and how to tie it to a crosstab report item, take a look at this article which provides a detailed write-up of the technology and supplies some examples. To see a recorded demonstration of a crosstab style report being build see this tutorial video. 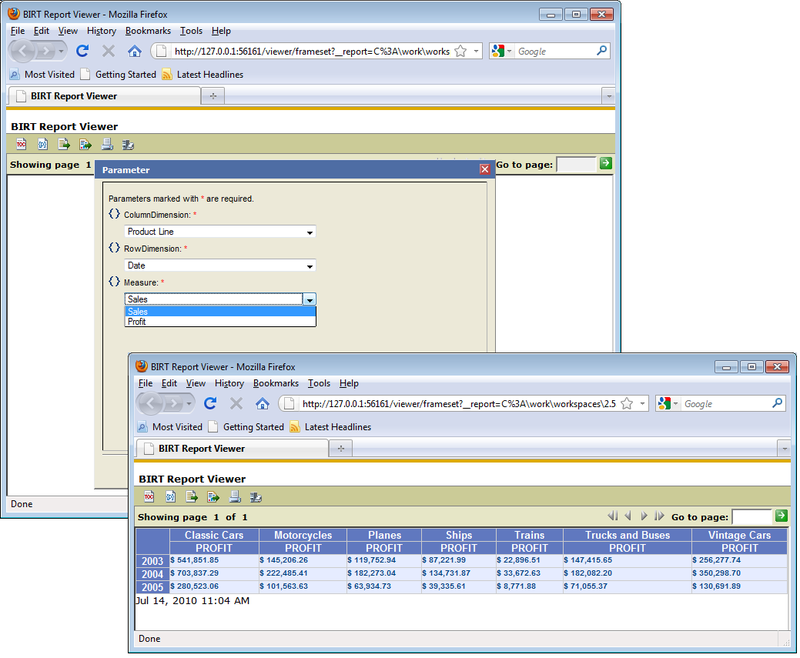 BIRT provides event based server side scripting for almost all report items, including crosstabs. A detailed blog post is available here with an example that demonstrates implementing a crosstab with event handler script. 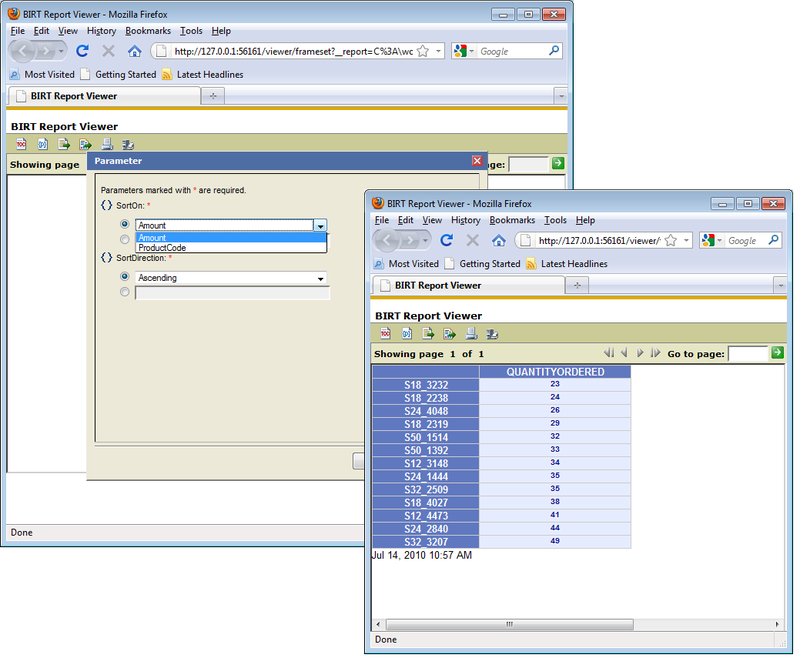 BIRT supplies a Text report item that allows formatted HTML to be inserted into BIRT reports. 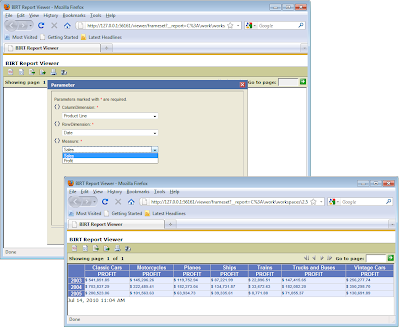 Text elements can also be used to insert client side script that will execute while viewing the report in HTML. The Text element can be used in conjunction with a crosstab to add client side script to the crosstab. As an example of this take a look at these on BIRT Exchange. One of the examples animates the crosstab by iteratively changing the background color of a cell based on its value while the other inserts mouse over events to highlight specific cells. 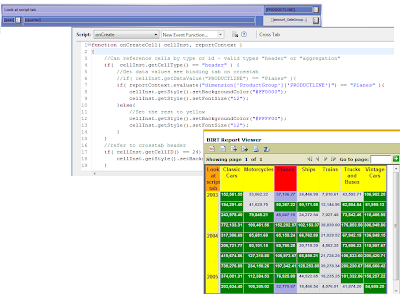 The BIRT Project provides the Design Engine (DE API) to construct report, template and library designs. This API is used by the designer when building BIRT content. Not only can this API be used in a Java project but can be called from a Java/Java Script event handler to modify a currently running report. There are many examples of this on BIRT Exchange. A couple of examples that are relevant to cubes and crosstabs are listed below. If you are using the DE API to create reports from your Java application and wish to add crosstabs to your reports this example illustrates building a data cube and adding a crosstab to a report using the API. 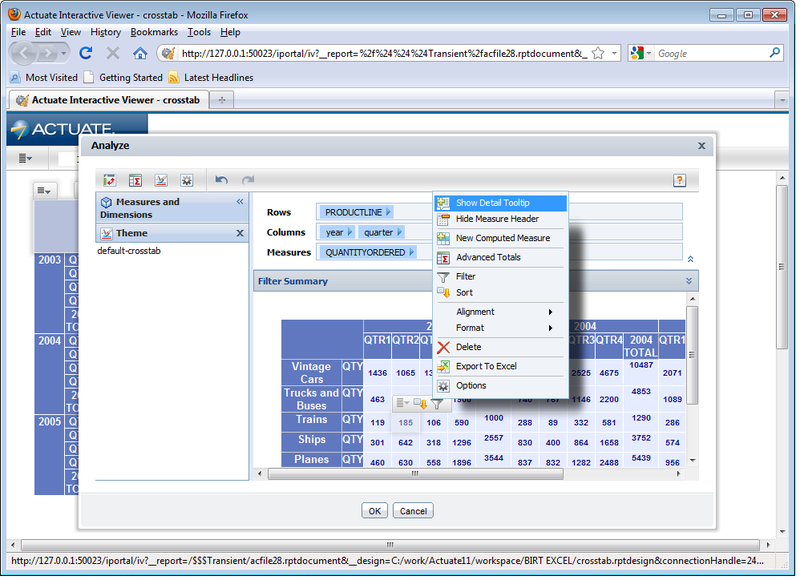 If you are interested in further capabilities, Actuate 11 which will be released this fall, provides a new feature called the Actuate BIRT Data Analyzer. 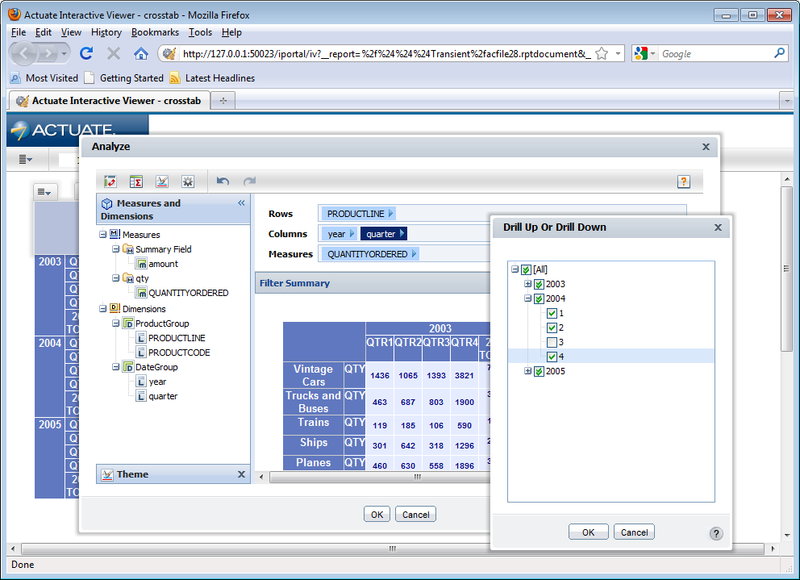 This product is a zero footprint browser based BIRT cube analyzer. It can be used with existing BIRT reports that contain cubes to add, modify, re-order, or remove dimensions and measures without having to re-execute the report. 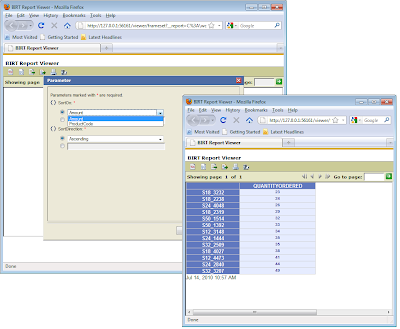 In addition to the above, the Data Analyzer can be used to pivot, filter, sort, and add computed measures and aggregates to the crosstab, all from within the browser without re-executing the report. If you are interested in trying out this feature download the latest milestone build of the Actuate BIRT Report Designer from the milestone build page. Jason Weathersby is a member of the extended BIRT development team at Actuate Corporation and has backgrounds in both computer science and technical writing. He has many years experience in technical consulting, training, writing, and publishing about reporting, business intelligence tools, and database technologies.